Fit Fest Oxford will be coming to the Oxford Science Park on Tuesday 13th February between 10:00-14:00, giving you the perfect opportunity to come and meet them and find out how you can implement their Wellness at Work approach by taking on regular sessions in your offices. From the week commencing Monday 13th February, Fit Fest Oxford’s expert team will be touring corporate offices and business parks around Oxford, offering 15- minute Sports Massage treatments, Postural Stress and Muscular Release group sessions through Pilates and Yoga as well as regaining control of what you eat while you are stuck at your desk in a Mindful Eating workshop, all perfect to try out on your lunch breaks! Fit Fest Oxford, Oxfordshire’s largest fitness and wellness festival is taking place on Saturday 21st April at The Oxford Academy where you will find up to 80 fitness and wellness brands in their pop up market place, a range of up to 45 holistic and high energy fitness classes, plus hair, beauty and sports massage treatments as well as an array of influential speakers who will be presenting their experience and knowledge to you through workshops, live cooking demos and Q&A’s. As part of creating such a motivational and educational event for like minded members of the Oxfordshire public, we found a demand to continue to promote a healthy and fit lifestyle through our ‘Wellness at Work’ campaign. 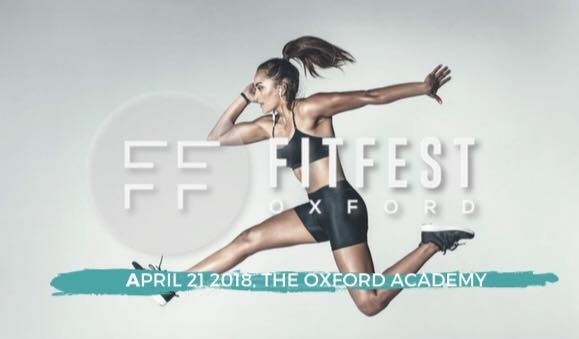 To be a part of Fit Fest Oxford’s Wellness at Work Campaign, please confirm your company’s availability to Paige, Fit Fest Oxford Co-Founder at paige@fitfestoxford.com. We will then provide you with the relevant links for your staff to book on to what they choose.